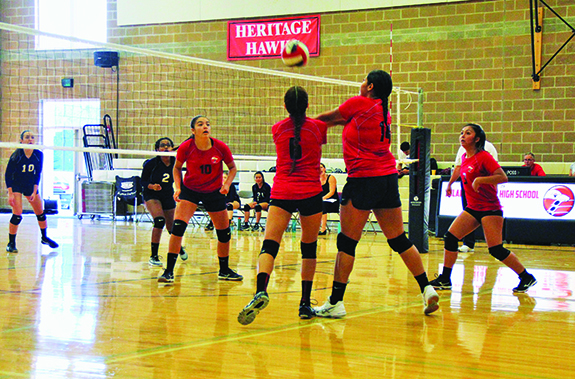 After finding unprecedented success on the volleyball court last year, a season that saw Heritage make it all the way to Tri-Districts, the Lady Hawks opened up a brand new season with a home game versus the Providence Classical Christian Highlanders. The game was played on Monday, September 11, at Francy J. Sheldon gymnasium. The foundation of this year’s team include senior captains Keryn Parks and Deandra Grant. The Lady Hawks graduated six seniors from last year’s team, which included three starters. In their place comes a new batch of young, eager to play student-athletes. It was a tough opening matchup for the new look Lady Hawks, as the PCC Highlanders only lost one regular season game last season and returned the majority of their players. In the 1st game, the Lady Hawks struggled to get any momentum going while the Highlanders weren’t missing a beat. 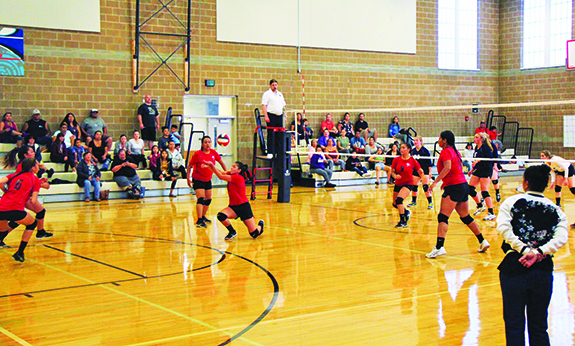 The Highlanders took the opening game 25-11. 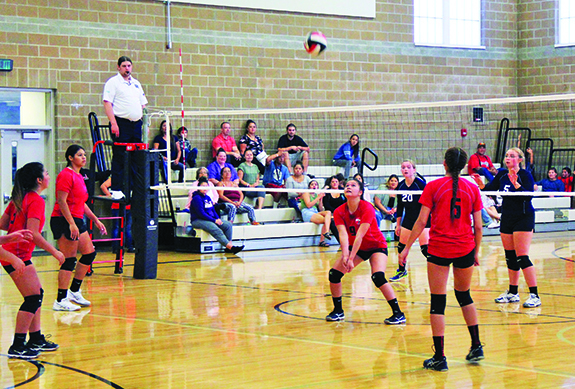 The Lady Hawks played much better in the 2nd game. After trailing 0-5 to start, the girls got their game going on both sides of the net, going on long rallies and hustling to every ball. The service game got going as well with several Lady Hawks coming up with aces. They battled back to get within four points, 19-23, before the Highlanders called a timeout. Both teams traded points leading to the Lady Hawks dropping a competitive 2nd game 21-25. The 3rd and final game saw the Lady Hawks go down 3-9 early before once again battling back behind timely aces and solid defense to get within three points, 10-13. The Highlanders were just too good on this day though and won the game 25-19 and the match 3-0. Up next for the Lady Hawks is another home game versus Arlington Christian before hitting the road to play at Shoreline Christians. Heritage then returns home to play rival Cedar Park on Thursday, September 21. 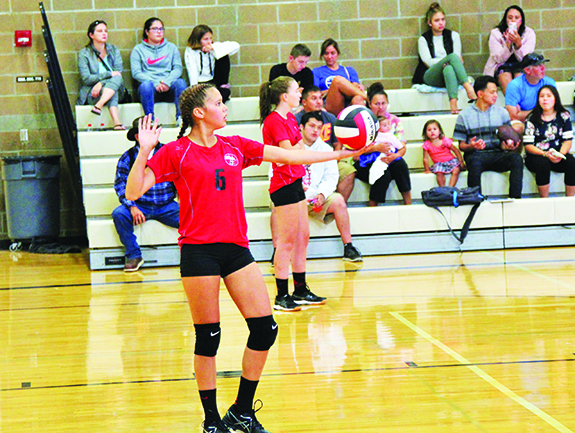 This entry was posted in News, Sports, Tulalip News and tagged Lady Hawks, sports, volleyball. Tulalip by Kim Kalliber. Bookmark the permalink.